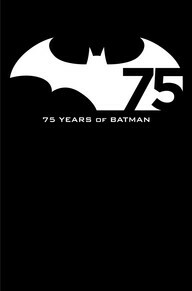 It’s expensive being a Batman fanatic most of the time, especially right now with the Caped one celebrating seventy five years of arse-kicking, justice dispensing awesomeness! So many amazing collectibles have been released so far, but you can never have too much Batman. With this in mind DC Comics released this week a slip cover collection of three of the greatest stories of the masked manhunter yet written. Beginning with the seminal eighties classic – The Dark Knight Returns, written and drawn by the legendary Frank Miller, this is one of the greatest pieces of Superhero fiction ever written (right up there with Watchmen and V for Vendetta in our humble opinion comic-fans). Next up is the amazing Hush, written by Jeph Loeb and drawn by one of the greatest artists in the medium – Jim Lee. Completing the trilogy is the more recent Court of Owls, written by Scott Snyder and drawn by the always fantastic Greg Capullo. 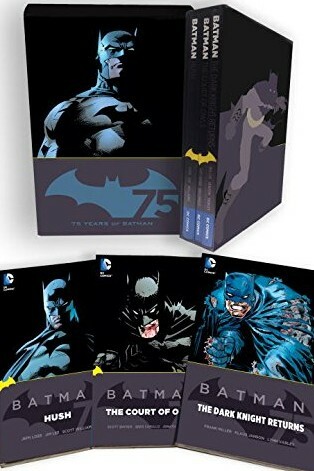 Highly recommended to all Bat-fans, even if you own some of these separately, the set is so nicely put together that it’s worth buying again … I can hear my wallet crying.